On a warm February morning, the cold winds coming from far away mountains go to sleep. The cymbals clanked, trumpets sang and drums played melodies of yore. Masked faces stood out amongst the blue skies and vast mountains. Prayers hummed in circles and a mist of incense smoke invaded my senses on the narrow streets of Leh. Streets were filled with joy as the monks danced around as a sacred edifice made its way through the lively bylanes. It’s the time when the snowy peaks warm themselves up, bursting in colours of spring. When the Sunshine lights up the mountains and its rosy cheeked people’s smiles with its love and light. It’s when spring announces its arrival to all; filling hearts with joy as the winter bids its farewell. Little bazaars sprung up in the lanes; selling happiness in packages to all. The calender’s pages fall away just as the leaves of the winter shed themselves to come alive in the spring. People from villages far away set on a journey to honour and celebrate the spring gods and goddesses to pray for their lives to blossom. And Dosmoche marches forth, dancing in full glory. 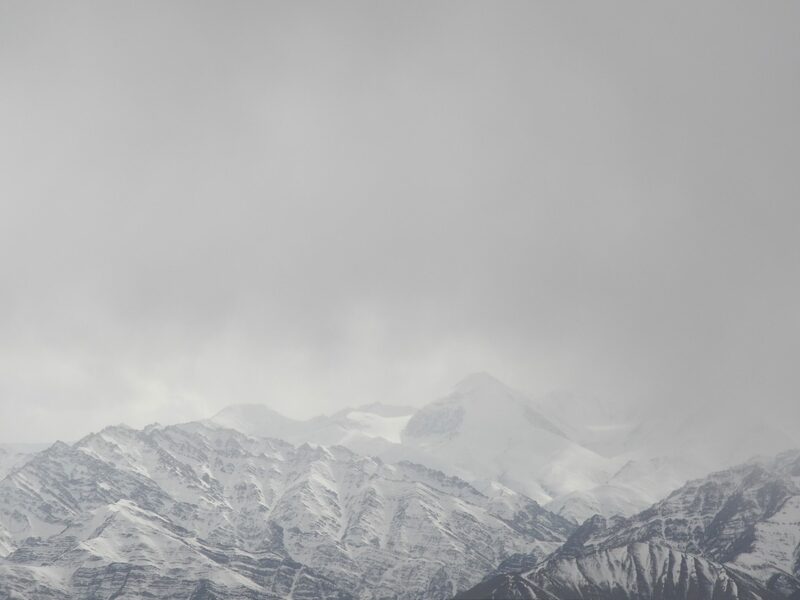 The peaks graced by their eternal friend – winter. Little joys on the little streets. The Masks trance to the soul’s beat. 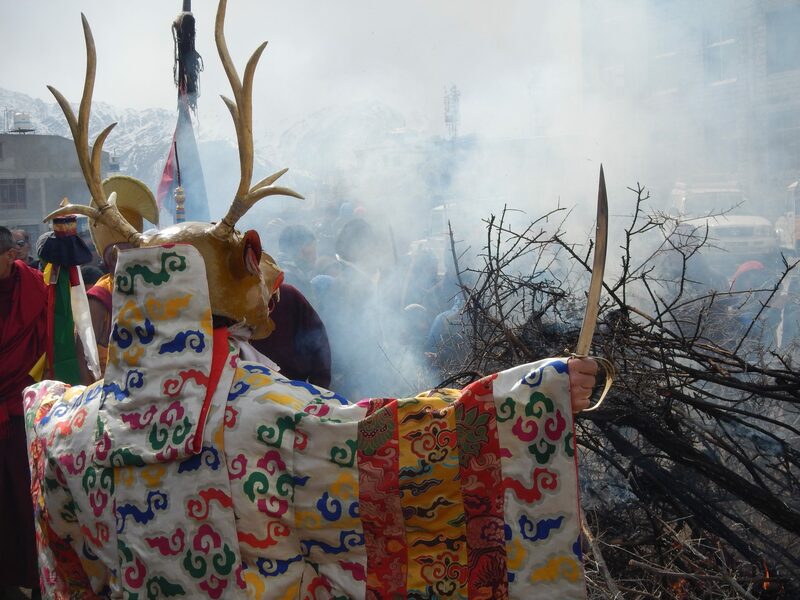 The Dosmoche festival marks the end of winter and is a ritualistic celebration to welcome the spring. Symbolically, these bon buddhist-animalistic tantric rituals are performed to ward off evil spirits and bring purity of thoughts as the spring sets in. It is a time to gather; and consciously cleanse and purify life. 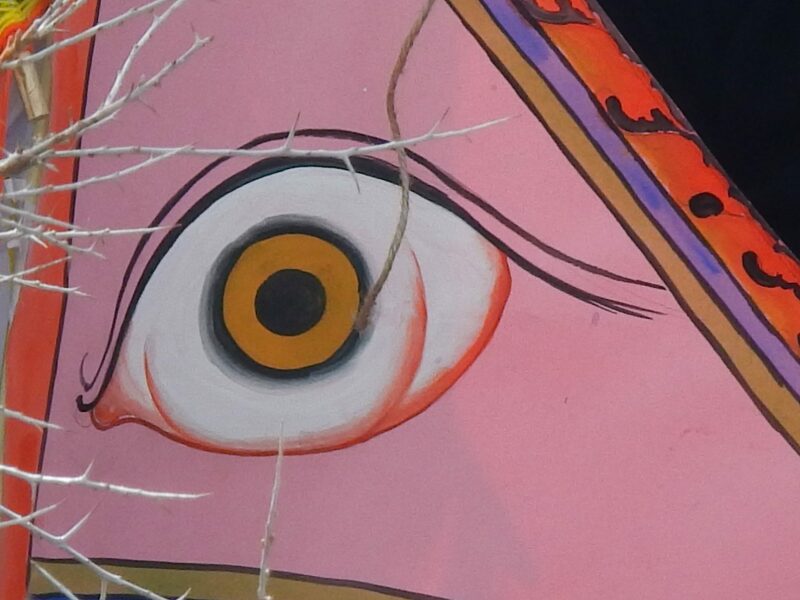 Metaphorically, it involves releasing the evils of winter by appeasing the deities and make way for spring. The Lamas recite the sacred mantras. A button-eyed, rosy-cheeked beauty becomes the apple of my eye. 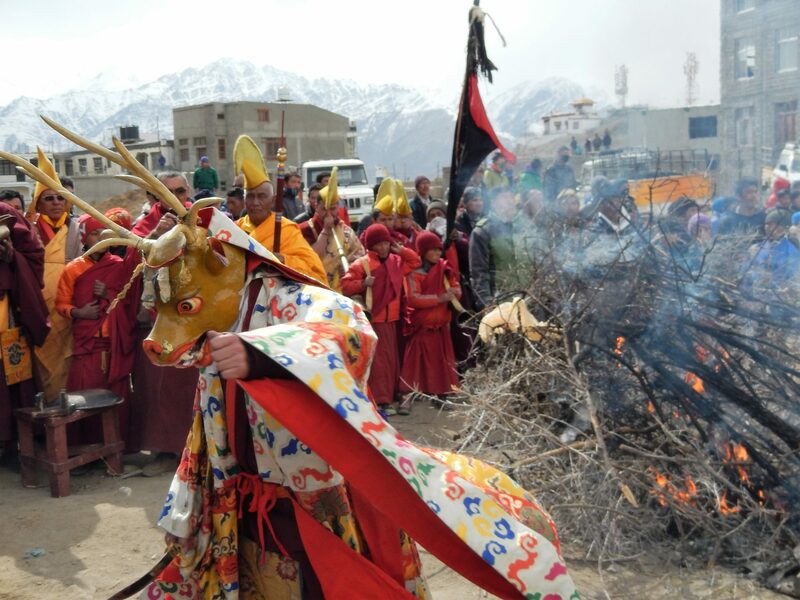 The Lamas put on their masks; each representing an animal and deity spirit. They performed the Cham dance, swaying to the rhythm of drums, trumpets and cymbals.Their inner power rose to the sacred beats and the holy smoke of Juniper leaves. In circles, they danced away into a state of trance. The ‘Cham’ represents the triumph of good over evil. 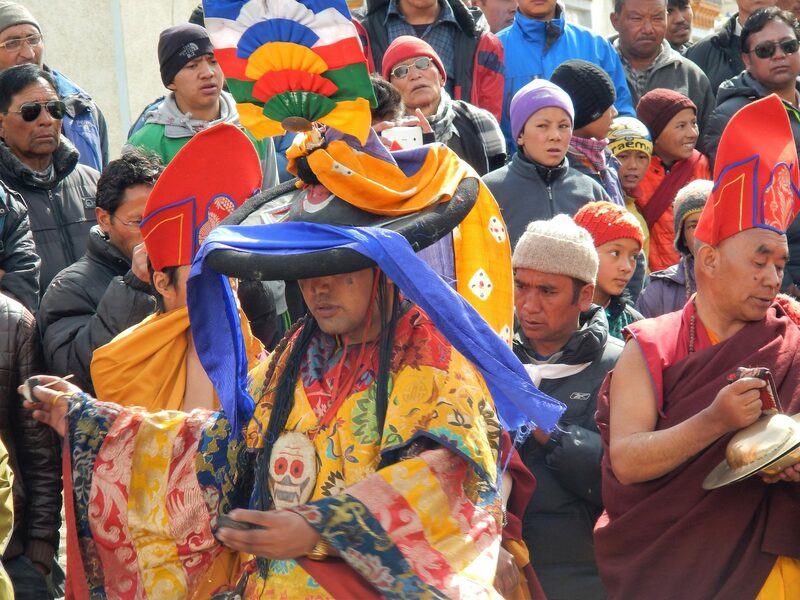 The Lamas and Shamans, robed in colourful garments and wearing masks, perform this sacred dance of ‘Cham’ in a circle with divine mantras and invocations. The Dharamapala puts on a wrathful face; fighting the demons lurking outside and within. 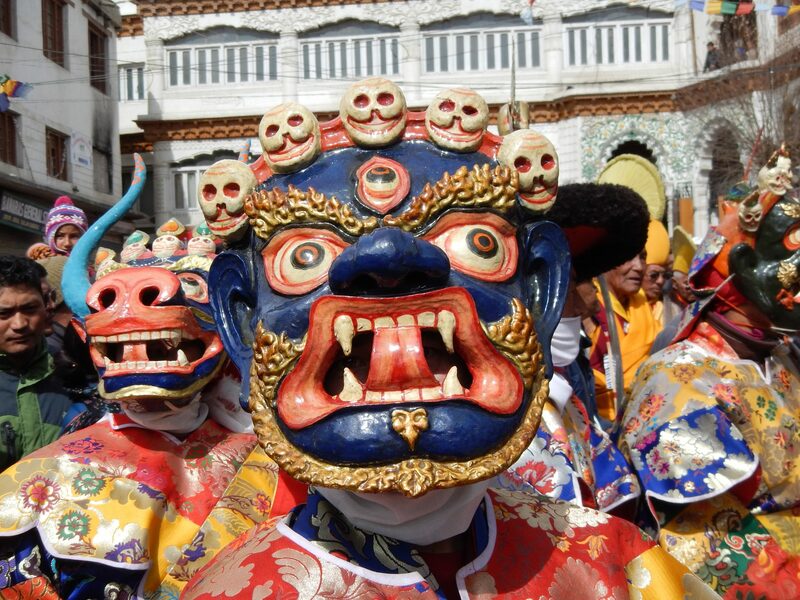 The sacred Cham dance was conceived by Guru Padmasambhava when Samye Monsatery was built in Northern Tibet. In the ancient times, the ‘Cham’ dance was a secretive tantric dance, the knowledge of which was passed on to a few chosen lamas. 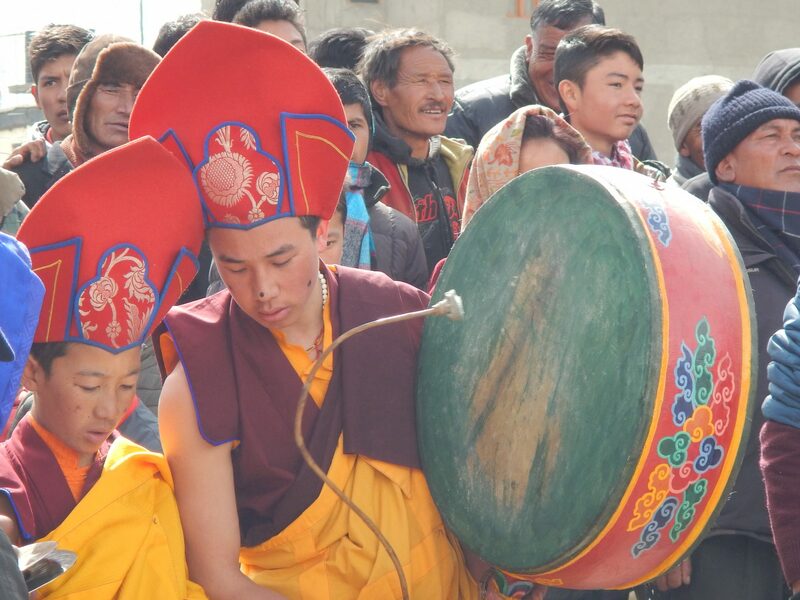 Some ‘Cham’ dances are also passed on by master lamas through mystical dreams and visions. A Cham is performed after five days of deep meditation, rituals and chanting. The ‘Cham’ also incorporates the nine ‘rasas’ of dancing. The ‘Janak’ attires worn while performing the ‘Cham’ represent deities, demons and animals. The Cham dance is beyond the physical realm; it is metaphysical since it requires the monks to be in a transcendental state by forgetting the self. Cham is the yoga where the dancers embody the deities with all their hand mudras and body movements. To understand the deities and be them as a means to enlightenment in the rituals is the essence of Cham. Being the deity and exorcising the evil forces and show them the path to light is the sole purpose of Cham. While performing the ‘Cham’, the dancers identify with a particular deity, invoke them and conceive the very universe as a mandala with the deity. It involves rigorous chanting, gestures of hand and feet yet being in a blissful state of meditation. 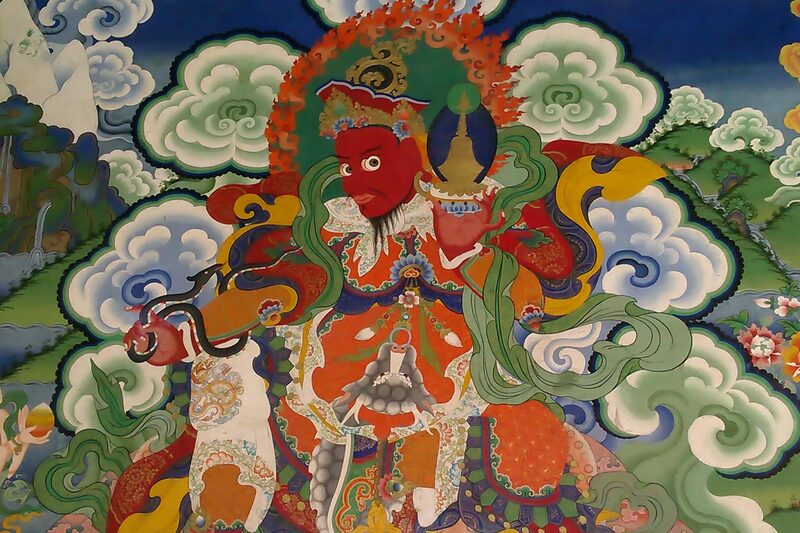 A mural of Guru Padmasambhava at a monastery. 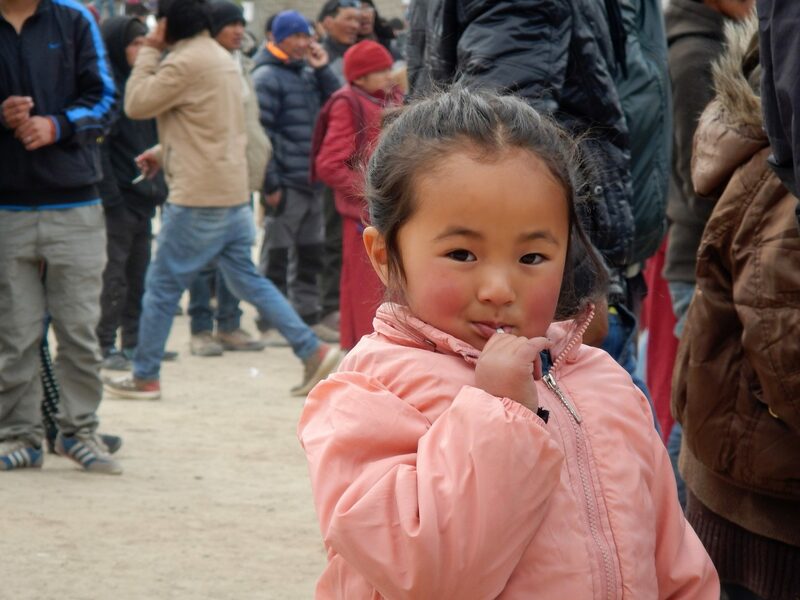 Legend has it that, Guru Padmasambhava performed the first ‘Cham’ in 770 AD to ward off evil spirits lurking around while building the Samye monastery. King Trishong Detsen called upon Guru Padmasambhava and invited him to Tibet to resolve this issue. The King and the artisans observed that every night, the evil spirits destroyed all that was created in the monastery that was under construction. This was energetically disturbing the sanctum of the monastery. The evil energies had pledged to obstruct the construction of the monastery. That’s when Guru Padmasambhava took over the task of spiritually clearing the space of Samye monastery from the negative energies. Guru Padmasambhava invoked his Tantric powers and performed rituals inside the monastery to spiritually cleanse the sacred space. In one of the rituals, Guru Padmasambhava buried five threads under the ground where the monastery stood, donning masks and a ‘Janak’ attire and invoked the ‘Chamara’ deity. He thumped and swayed in a trance, performing powerful Tantric mudras and postures to banish the evil spirits. Guru Padmasambhava drew ‘Thiks’ – a sacred line in all directions to ward off the evil spirits. The ‘Thiks’ kept the evil spirits from entering the monastery’s sacred space. It is also believed that Padmasambhava created the Vajrakila mandala on Mount Hepori – one of the four sacred mountains of Tibet which is located in the east of Samye monastery. 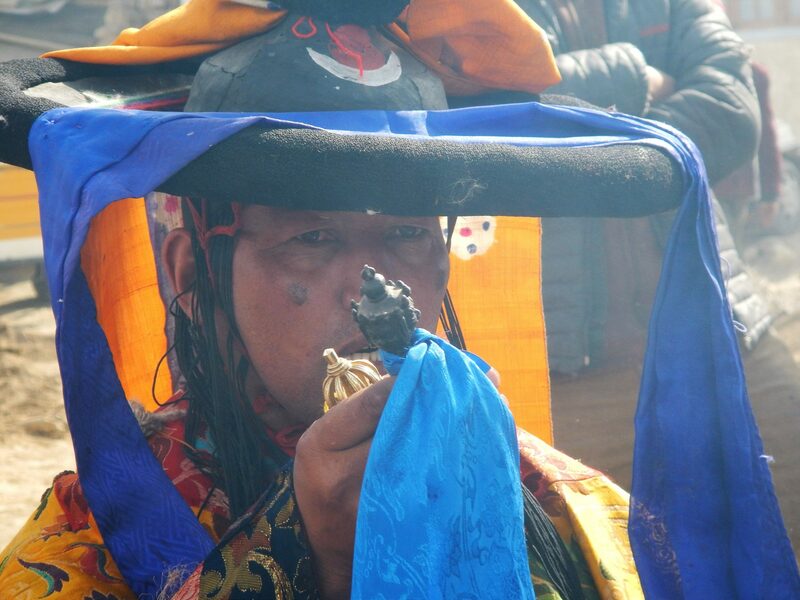 Guru Padmasambhava invoked Bodhichitta and performed the sacred ‘Cham’ to harmonize the region. By creating this powerful tantric mandala, Guru Padmasabhava pacified all disharmonious elements and evil spirits. This further appeased the local spirits and helped spread Buddhism. Thus, the Samye monastery was built like a mandala – a sacred geometric pattern. The monastery complex is a mandala representing the Buddhist universe while the main temple is built as a mandala representing Mount Meru at the centre of this universe. There are four Lingshi temples around the main temple that represent the four continents in the ocean. Additionally around the main temple, there are four Chotrens in four colours, Nyima – a sun temple to its north and Dawa – a moon temple to its south. In all, the Samye Temple is a living maha mandala representing the sacred universe. The Champson evokes the deity. The Vajrakila dance performed by Guru Padmasambhava is also known for pacifying the angry ghost of Mashang Drompakye who harmed humans. Through this Vajra dance, Guru Padmasambhava transformed the soul into light and returned it to Suk­­havati – the land of bliss. Since then, the Cham was passed on to King Trisong Detsen, his wife and the generations ahead. The knowledge of ‘Cham’ is unwritten and can only be passed on spiritually. 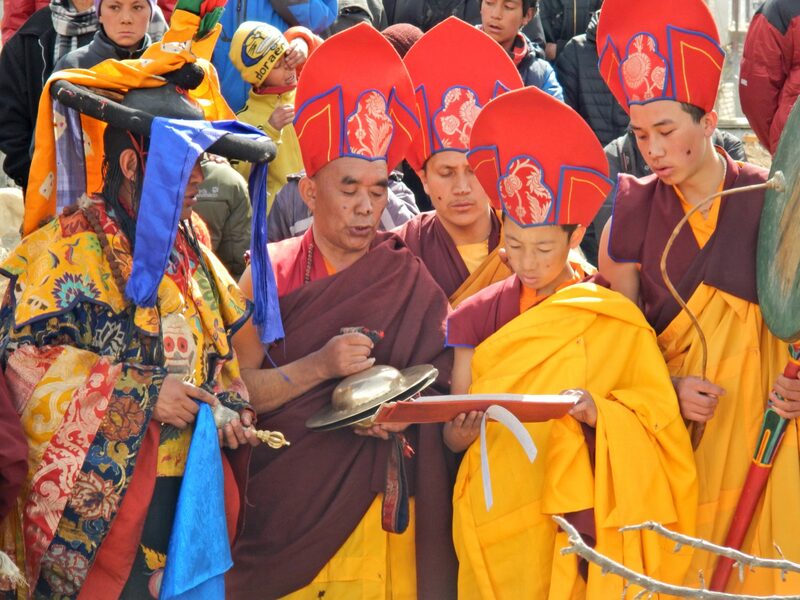 Today, the ‘Cham’ lives in the hearts and souls of a few older monks. The Champson and Lamas hum the prayers. The Champson leads the Cham riuals. I immersed myself in the trance of the mystical dance, soaking in the stories narrated by a Lama who proposed to be my storyteller for the hour. The dancers chopped the air with their swords; stomping the dusty earth and invoking deities in their transcendental states through movements and gestures. At this the storyteller lama explained that the sword symbolises wisdom and the evil is nothing but the ignorance within us. And that the path to enlightenment is the purpose of Cham. A sacred mandala, wrapped in prayers. The sacred effigy just before its evilness burns to ashes. The Dharmapala dancing with his sword, shows the evil; the path to light. The ceremonies were performed, as the masked lamas danced around the pyre. The Champson – the master monk integrated into the cham dance, holding a sword in his hand. 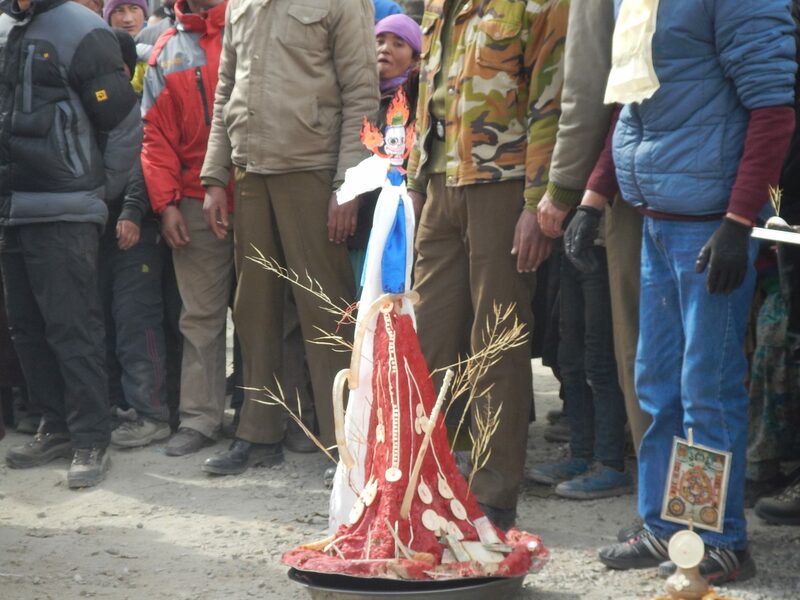 The Champson lead the sacred effigy created of wool, threads, butter and barley to a gathering ground for a ritual to welcome the magic of spring. This effigy, made of barley flour and butter represents the evil forces, which is cut with a sword by the ‘Champson’ who invokes the evil into his own body, and shows it the path to compassion and love. The edifice constructed over months by the Lamas with rituals and meditation is all set to be burnt to ashes, as the evil confronts death. Eventually the effigy is burnt to ashes as purity springs in full bloom. To me, the festival of Dosmoche was a lesson on life. A hope that spring is inevitable after a winter. That joy exists in each withering moments of life, if we can feel the light in them. That spring exists in the heart of winter. And in the hearts of many a souls, moving towards light. 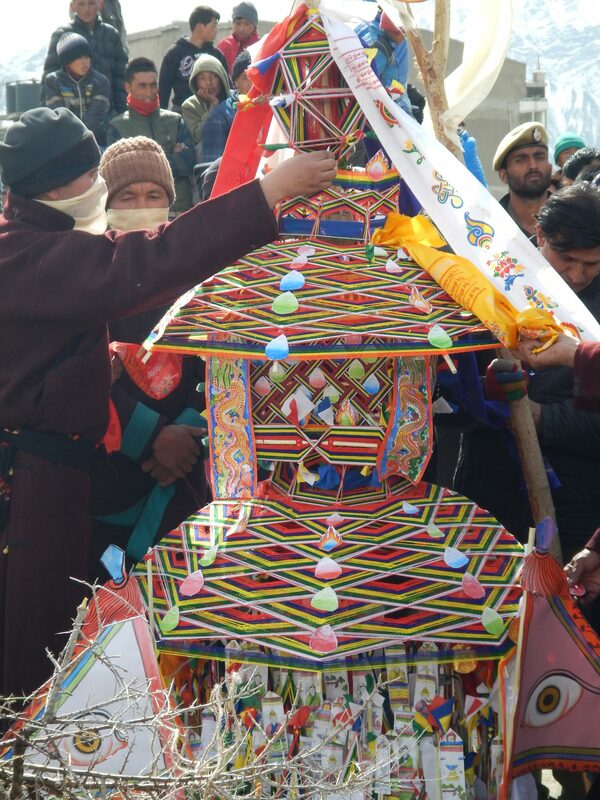 I feel grateful to have been a part of this sacred festival in the winters of Ladakh. While the wind carried its blessings through the ‘Lungtas‘ fluttering high up the snowy mountains, and prayers voiced through hearts; these mystical tales of light sprung forth in my heart. Next Next post: Journeying through fairy tales of the Moon. 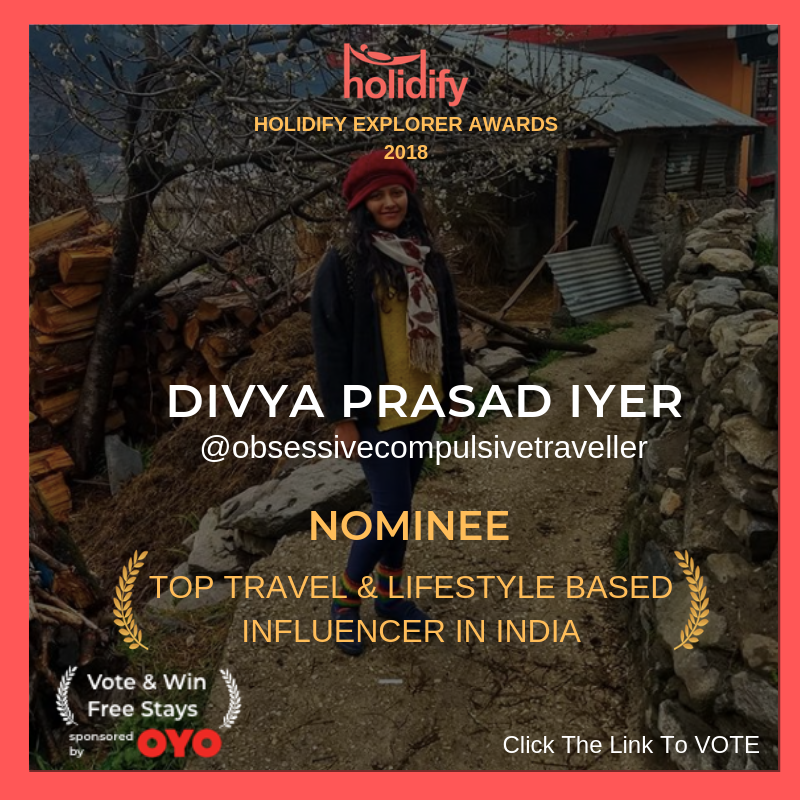 good and informative post…keep posting….all the best…. 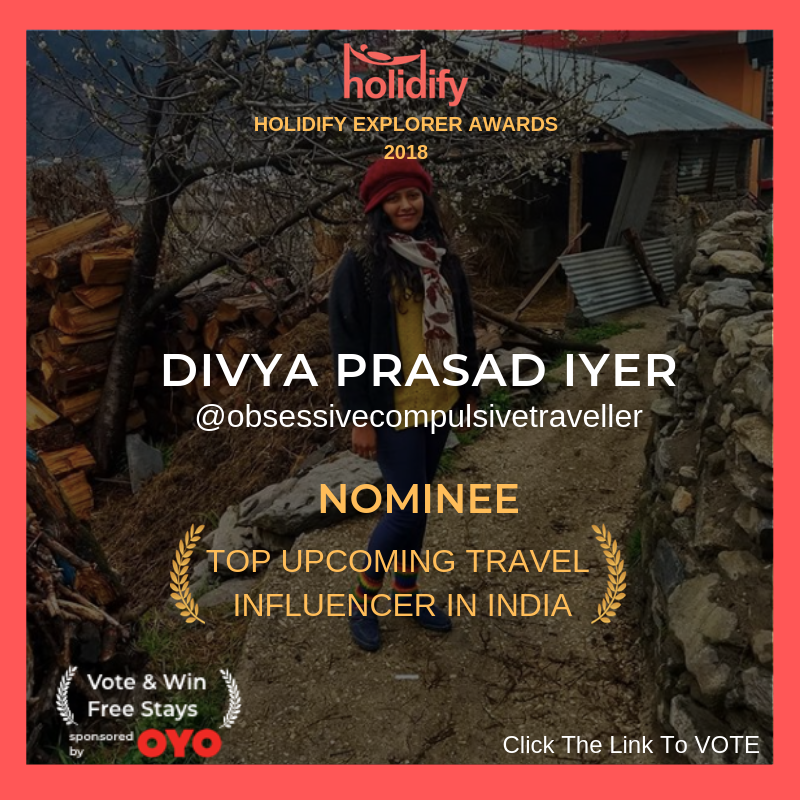 Thank you 🙂 Yes there are a lot of similarities in monastic customs in Himalayas.